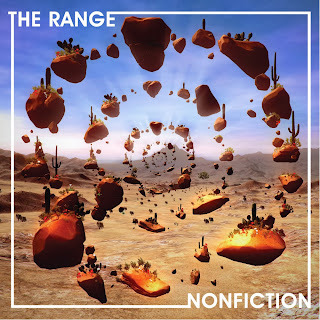 Nonfiction is the debut full-length from Donky Pitch's very own producing trailblazer, James Hinton, who has been enjoying a considerable buzz over the past year or so over the release of the EPs Disk and Seneca. However, upon hearing the intricate farrago of chillwave, footwork and jungle beats on his latest assemblage, it is evident that this 25 year old arriviste hasn't only appeared on the IDM scene in order to put out generic dance records and make a living off techno hypebeasts; he has come to expand the ever reforming barriers of modern bass music. As Pitchfork rightly claimed, "Nonfiction isn't an album easily pegged to any scene or narrative currently circulating about electronic music", as it fluctuates between faster paced tracks with warm vintage vibe, (e.g. 'FM Myth'), and low-key R&B influenced numbers that sit comfortably in the stoner psychedelia spectrum. Despite the presence of more club-orientated members like 'The One' and the aforementioned progressively bassy 'FM Myth', the album always feels tightly packed and neatly presented due to Hinton's conscious ear for production and harmonious juxtapositions, similar to some of UK born Squarepusher's earlier releases such 'I Wish You Could Talk' and 'Do You Know Squarepusher'. Quirky drum patterns and warped synthesisers take centre stage on Nonfiction, but hard-edged vocals and the ebb and flow of almost tranquil piano pieces are also exceedingly prominent throughout the album. This, combined with the contrasting foggy echoes of muffled grime samples, leaves you with a slightly inebriated feel as the intelligently apposing oppositions draw you further and further into the dense layers of IDM fantasia. All in all, given Hinton's ability to take sounds from a multitude of complex genres and mish-mash together in such consonance, it is perfectly clear as to why he goes by the name of The Range - the future looks extremely promising for the underestimated 25 year old.